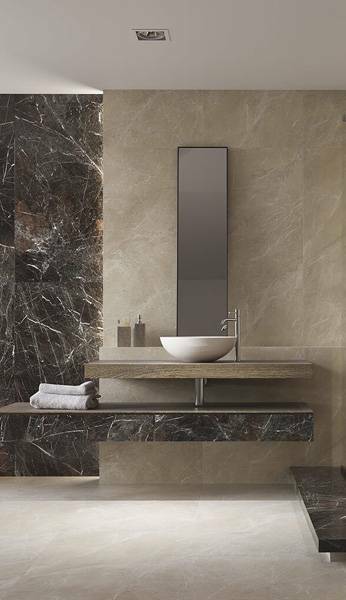 Pattern trends in the world of ceramic tiles in recent years clearly favour large tile formats. Striving to obtain a uniform surface, free from perpendicular lines defined by joints requires the use of increasingly larger tiles. The popular, rectangular “20s”, dominating a dozen or so years ago, go to the past in favour of tiles with almost 1 meter edges, and even larger ones. This trend was most evident in the case of investments. 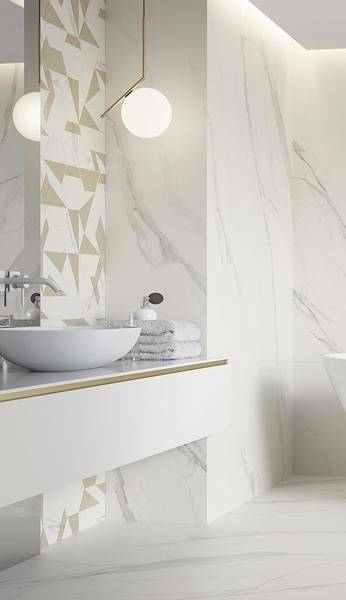 The largest tile formats can be found in the group of porcelain tiles – due to their functional properties and production technology. 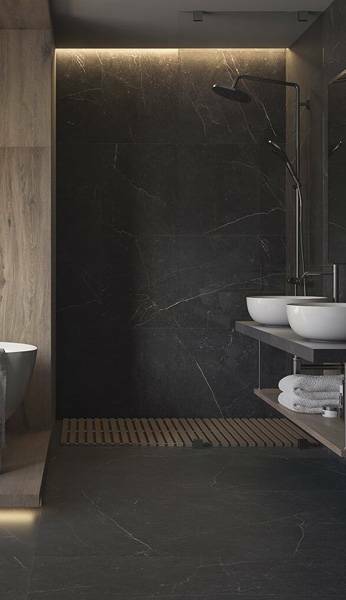 Originally designed for use on the floor, porcelain tiles are also ideal for vertical surfaces, both from an arrangement and a utilitarian point of view. A bathroom in the popular format of a wooden board? Living room with travertine above the fireplace? Or maybe a stone hall broken by a contrasting glass motif? 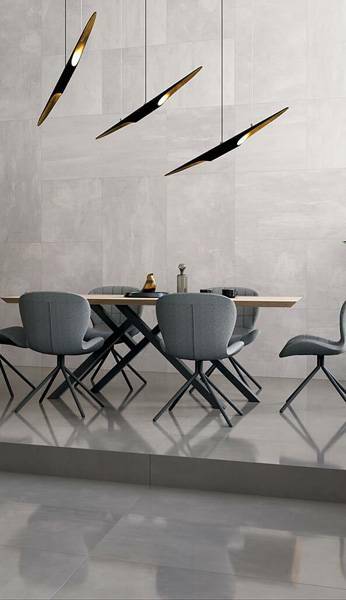 The migration of porcelain tiles to the wall is not only possible, but it brings amazing results. However, this mechanism does not work the other way round – wall tiles cannot be laid on the floor due to the lack of required strength parameters (such as breaking strength or bending strength).